The Indonesian carrier ordered 50 of the planes in 2014 for $4.9 billion. It has taken delivery of one of them but has now sent a letter to Boeing (BA) saying it no longer wants to receive the remaining jets on order, Ikhsan said. It’s the first airline to say it’s canceling a 737 Max 8 order. It’s the latest blow to Boeing over the 737 Max, its bestselling passenger jet. The planes have been grounded worldwide over safety concerns following the crash of an Ethiopian Airlines flight earlier this month. Aviation authorities around the world have grounded the 737 Max following the Ethiopia crash. Many airlines have announced they won’t fly the planes until they know more about the circumstances surrounding the crash. 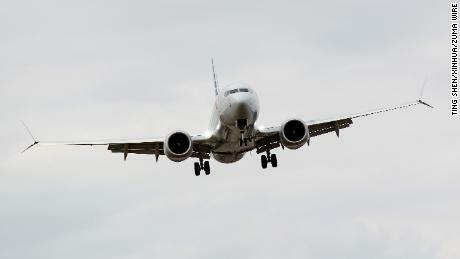 The grounding is expected to cost Boeing billions of dollars. But most major airline customers of Boeing contacted by CNN on Friday either said they had no plans to change their orders, or that it was too soon to comment on their plans. Both American Airlines (AAL), the world’s largest airline with 24 of the jets and orders for another 76, and Southwest (LUV), which flies nothing but 737 and 737 Max planes, said they had not changed their orders. “We are, as all stakeholders, awaiting the results of the [crash] investigations. Airplane orders are part of a long-term fleet strategy,” said European carrier TUI Airlines, which has 14 of the jets and orders for 58 more. “Once they’re able to get the fix in place, I think that will go a long way to canceling any concerns about the plane,” he said. CNN reported earlier this week that US Justice Department prosecutors have issued multiple subpoenas as part of an investigation into Boeing’s certification from the US Federal Aviation Administration and the company’s marketing of 737 Max planes. The criminal investigation, which is in its early stages, began after a 737 Max aircraft operated by Indonesia’s Lion Air crashed in October, killing all 189 people aboard.